White House asked Defense Department to present options for attacking Iran several months ago, according to Wall Street Journal. The White House recently sought military options for a strike on Iran, The Wall Street Journal reported this morning, Sunday. 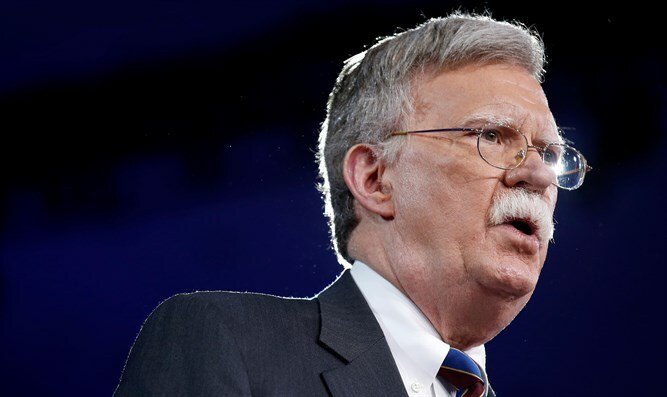 According to WSJ, after mortar shells were fired in September near the US embassy in Baghdad by an Iran-aligned group, National Security Adviser John Bolton asked the Pentagon to provide the White House with military options to strike Iran. The report cited current and former US officials who said that the request “generated concern” at the Pentagon and State Department. The officials said that the Pentagon complied with the request. However, according to the report, it is unclear whether the proposals were provided to the White House, whether Trump knew of the request, or whether serious plans to strike Iran took shape at the time. The report comes as Prime Minister Netanyahu confirmed this morning that Israel had attacked Iranian weapons storehouses at the Damascus international airport over the weekend.